SONY OPEN GOLF: Pro golfer Michelle Wie played a practice round yesterday at the Waialae Country Club in preparation for the Sony Open this week. Afterward she spoke with reporters. » Michelle Wie: Third time a charm? Police officers being investigated by the FBI in a cockfighting case have been on paid leave for nine months. 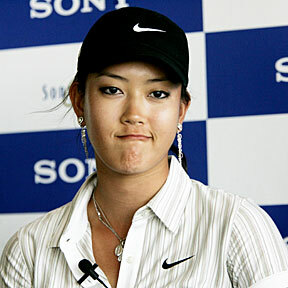 Michelle Wie: Third time a charm? Wie looks for a breakout pro tournament performance at Waialae. Bahn mi sandwiches are the backbone of Hawaii's 20-plus Ba-Le restaurants. Most of the rest of the PGA Tour may get a taste of Hawaii's trade winds this week. Bank economist Paul Brewbaker expects housing prices will peak this year, then stay where they are. Governor Lingle has signed an agreement for nursing faculty exchanges between Hawaii and Philippine institutions.